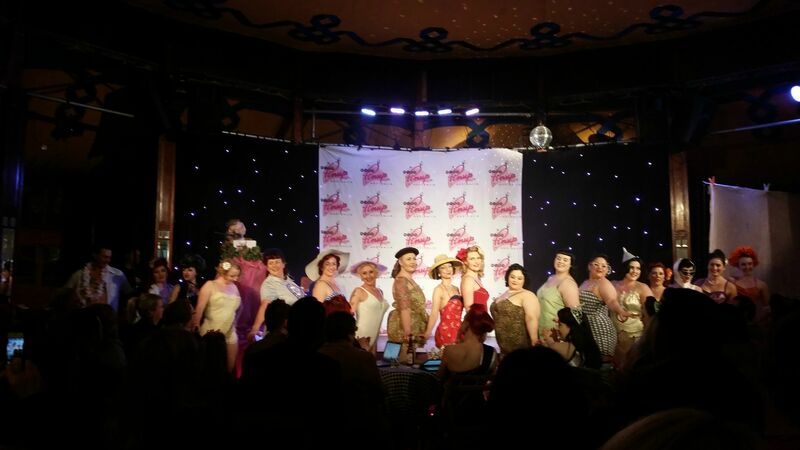 Earlier in June, I went along to the Spiegeltent at Circus Oz to watch the Victorian/South Australian/Western Australian Miss Pinup Australia state final. Before you ask if I’m entering the 2016 contest, I’m still doing my research and figuring out if my physical incapacities will hinder my ability to compete, so the jury’s still out on that one. 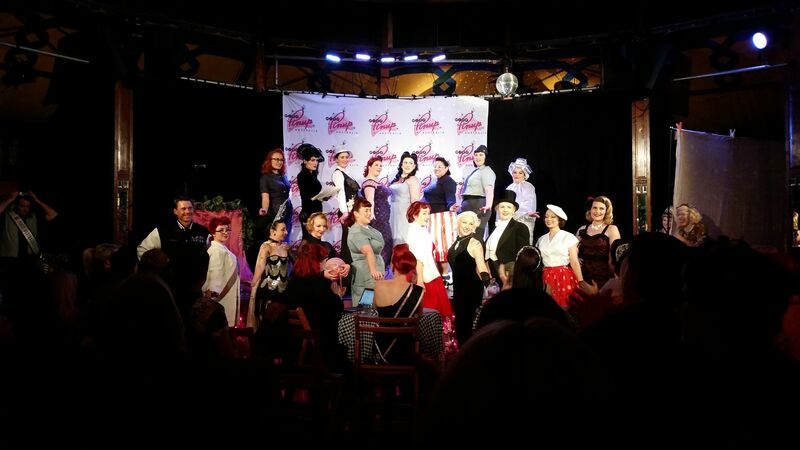 There is so much preparation that goes into being a competitor in Miss Pinup Australia, and I really and truly tip my hat to each and every woman, and of course the men who compete in the Mr Pinup Australia titles. About a month before the VIC/SA/WA state final, in an endeavour to make new friends, I went along to the Victorian Meet and Greet for the competitors, their friends, and their families. Although I had interactions on Facebook with a few of the competitors, and though I had received a makeover from one of the contestants and knew her to say hello to, I did not know a single soul in that room. When I arrived at The Noble Experiment, I was faced with a dilemma: to get to Aloha Sailor I would have to descend quite the impressive set of stairs. Ordinarily, before attending a venue I’ve never been before, I would check the accessibility. It never even occurred to me to check – I assumed that being in Smith Street Collingwood it would be a gorgeous bar at street level. My back condition lends me to disability-friendly access only so you can imagine my dismay when I was faced with these steps. How I would have loved to have descended them, to that warm exposed brick wall and into Aloha Sailor. 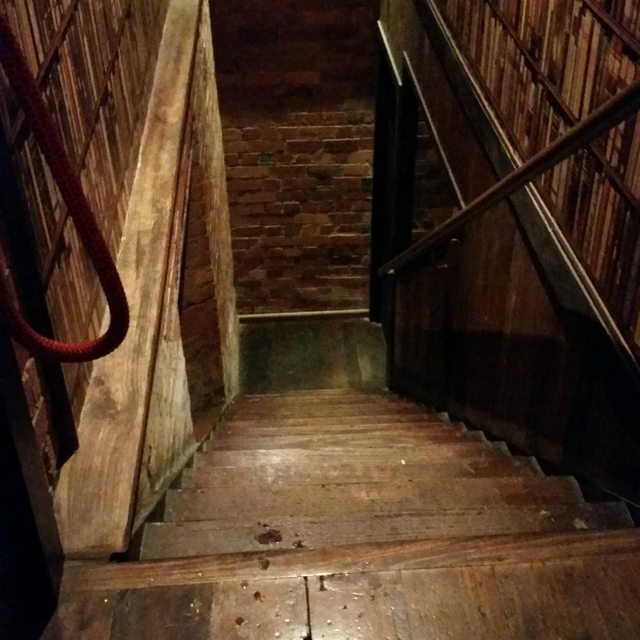 I asked one of the wait staff if there was an alternate entry to the bar, and thankfully there was a service entry of only about a half dozen steps. It just meant that I would need to go through the store room and enter the bar that way. A small price to pay to make new friends. Walking into that room was extremely daunting: without anyone by my side, I had to hold my head high and make like I wasn’t a bundle of nerves. As I did walk in and looked around nervously for some familiar faces from the internet, I was approached by the beautiful Miss Snowy Winters, asking fervently if I was Hollie. She greeted me with such warmth and made me feel welcome instantly. Shortly after, I met my Pin-up’s Against Bullying, Inc. Australian Chapter sisters Miss Rouge Kitty and Miss Lorelei Jean for the first time, also greeting me with such warmth. 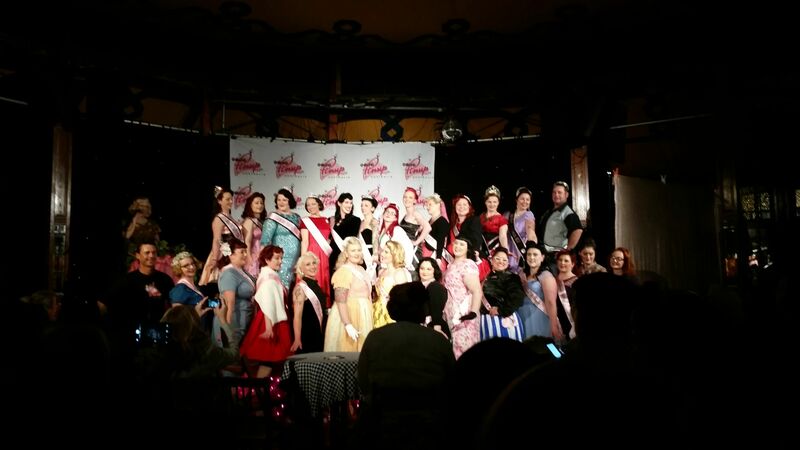 All three ladies were entered as contestants, and to be honest, with a room full of past and current contestants including Miss Pinup Australia 2014 herself, Miss Cherry Fizz, I was in awe: here I was rubbing shoulders with Australia’s pinup royalty, and they wanted to get to know me. It was all rather surreal, I wasn’t used to meeting people who were so warm and inviting, and also shared a love of vintage. After making friends with these beautiful souls, I knew that I had to go along to the state final in June to cheer them on. It’s one thing to walk into a room full of strangers and make friends with them, but to walk into a room full of strangers and sit on your own is another thing entirely. I text The Mister saying that I felt like a loner loser being there on my own, but I pushed through my fears. Although I was in a room of people there to support those on stage, I still felt like I was under the spotlight after turning up stag to the event, even though I knew that no-one cared if I was there with a party of one or a party of one hundred! Old habits die hard. I soon forgot my fears and was overwhelmed with awe and pride as the contestants – some who I call friends – took to the stage for their introduction. These fabulous ladies – and who can forget Mr Phoenix Divine from NSW here for support and to help – put on such an incredible show. The strength, determination and beauty of all was beyond amazing. Competitors graced the stage in four categories: day wear, swim or active wear, lingerie, and talent. Seeing all of these wonderful women take a leap into the unknown and step out on stage – some out of their comfort zones, I would imagine – demonstrates courage, strength and tenacity. Performing to peers, family and friends is nerve racking at the best of times, let alone in front of strangers. Well done to each and every one of you. Of course, it would be completely remiss of me to not inform you of the results. I truly believe Miss Pixie’s words though in that everyone who graces that stage is a winner (see above about courage, strength and tenacity), but of course there are some who walk away with titles and crowns. All of the state finals have now concluded. 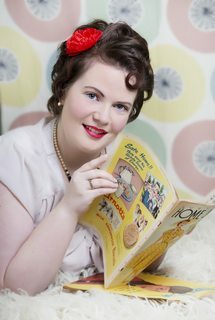 You can find out more about the winners from the other states on the Miss Pinup Australia Facebook page. 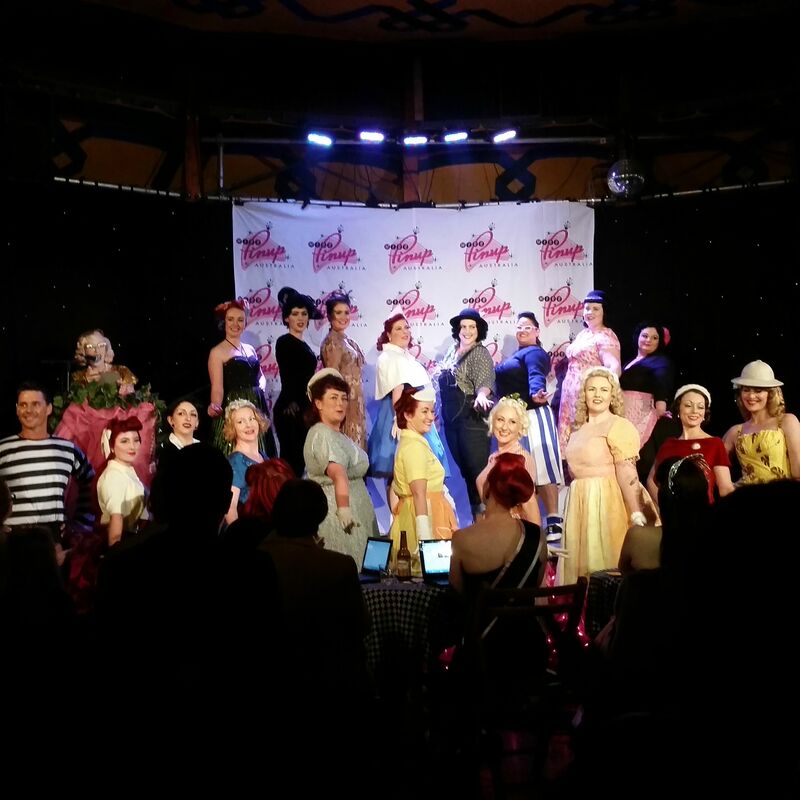 The national final is also being hosted at The Spiegeltent at Circus Oz on Saturday July 25 at 6pm. Please note that this show is for audience members aged 14 and over.